‘Michelle was a great support to us as a family with our new puppy. We hadn’t had a dog before and with a large family needed ‘family’ training, so we could all give our puppy the same commands. Michelle visited us at home, was patient, reassuring and gave us confidence in our ability to train a very bouncy and friendly pup, working with all the family including friends who would walk the dog. Our dog Coco loved Michelle from the start and she responded well to her training. I would highly recommend Michelle as a professional and yet friendly trainer who can support you to train your dog to the level that suits you your dog and your family’. ‘We were referred to Michelle as part of a plan to help us deal with our puppy who, when frightened by anything unusual or that he couldn’t understand was liable to bite us. Initially we thought we were going to see Michelle for some practical tips and, when he was old enough, for agility classes. It has been much more than that. Michelle’s understanding of our miniature poodle and our relationship with him was amazing. She has worked with us offering reassurance, encouragement, practical advice and this has increased our knowledge of how to communicate with our dog tenfold. He loves the agility classes (so do we!). We cannot recommend Michelle’s talents highly enough. 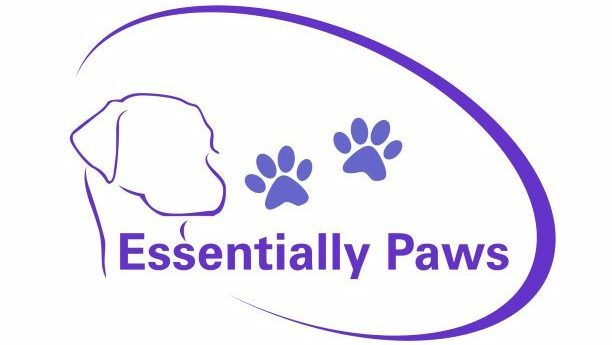 Whether you have a dog with a problem or you just want to be helped to understand and relate to your dog, Essentially Paws is tailor made for you’. ‘I really felt I must write to you and thank you so much for all you did for me to help me enjoy Buster who I had nearly given up when he was a few months old. He was absolutely mad, jumping everywhere, over the garden fence, on work tops, window sills, over arm chairs and also he kept running off and would not come back when called. He also pulled so hard on the lead that I really did not think I could ever manage him. Now thanks to you, he is very enjoyable. Not perfect of course, but I can relax and enjoy off lead walks anywhere and he is a real character’. I cannot thank you enough for helping me to help him to turn out as lovely as he is’. ‘We went to Michelle Garvey for help with our two dogs, after one repeatedly attacked the other. It was a serious situation and completely out of our hands. Michelle came to see us several times, and assessed both dogs separately. Her methods were based around treats, rewarding positive behaviour and setting safe limits for each dog. What we liked the most about Michelle is that she made no false promises, that she understood the gravity of the situation and that she honestly warned things would get worse before they would get better. After months of hard work and much patience, it happened: the dogs stopped fighting, and quite unbelievably, began to play with each other. Michelle is now our go-to dog expert and I would recommend her to anyone. Our case was extremely worrying and tricky, but her approach, the way she reassured and advised us, helped us enormously. We are so grateful we found her’.